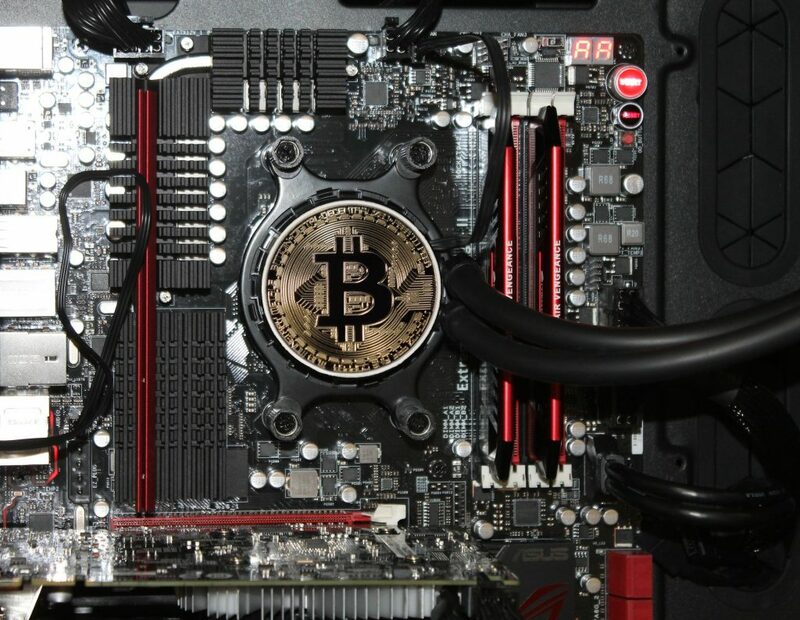 Cryptocurrency mining is a computer-based process that generates new coins. Usually, computers have to solve increasingly complex mathematical problems and find a secret number. If they are successful, that miner is rewarded with a coin. In the beginning, the mathematical equations were relatively simple. You could access coins without too much difficulty. People could use an off the shelf computer to mine Bitcoin and other cryptocurrencies. Most of those did not require substantial amounts of power to run. However, as competition rose and the problems became harder, more powerful computers were necessary to be effective as a miner. Specialized hardware called Application Specific Integrated Circuits (ASICs) became the standard approach for mining. These systems require a ton of power and tend to run hot. Many people began turning to massive data centers to secure the computing power they needed to keep mining. And, the more robust a system, the more expensive it is to run. One Bitcoin mining facility in China was filled with ASIC mining machines. Their monthly electricity bill for that single location came in around $80,000 a month. By and large, the environmental impacts of cryptocurrency mining have an effect on energy consumption. Data centers pull a lot of power to keep the machines running. Plus, they also have to keep these systems cool, which requires air conditioning in nearly all cases. One report says that Bitcoin mining alone requires about 32 terawatts of energy each year. That is enough to power around three million homes in the United States. Even if you use the most efficient computers available for Bitcoin mining, it would still take about 13 terawatt hours annually. That’s enough to power the entire country of Slovenia. To put that in perspective, processing the billions of Visa transactions each year consumes significantly less power. It’s usually the same amount as it would take to run about 50,000 American households. Rising power consumption affects the environment. You must generate electricity before sending it to households, businesses, and data centers, and that typically requires resources. As demand for energy increases, fossil fuels are usually the easiest way to enhance the potential output of the power grid. This could potentially deplete the supply of certain resources or require you to collect more. Gathering more coal or getting additional natural gas can also harm the environment, depending on how you access the resources. For example, strip mining doesn’t just remove the mineral – in this case, coal – it also takes the overlying soil and rock, destroys trees and plants, and renders the area practically unusable for a significant period after mining. Burning fossil fuels for power leads to increased air pollution. Additionally, some countries where cryptocurrency-related energy consumption is on the rise, such as China, don’t have the same standards as the United States so pollution may increase even faster as a result. Using fossil fuels also results in water pollution. Drinking supplies can end up unsafe for consumption, and local flora and fauna may be devastated by the runoff. Greenhouses gases are one of the strongest impactors when it comes to climate change. When the need for fossil fuels rises, it produces more greenhouse gas. Over time, this could lead to serious weather changes, including more record heat and cold, similar to the impact of the recent Polar Vortex in the US. Wildfires may be more prevalent, as well as hurricanes and tornados as well. While improvements to a power grid aren’t inherently an issue, they do have an environmental impact. New electrical lines require resources to make, and they might not have been necessary if cryptocurrency mining was not occurring in certain cities. Having a more capable power grid may sound nice on the surface. However, if the improvements were only required because of cryptocurrency mining and not other growth in the area, then the picture ultimately looks a bit different. Will Cryptocurrency Mining Power Consumption Continue to Rise? It isn’t clear whether cryptocurrency mining activities will continue to increase overall power consumption. While there are only a few million Bitcoin left for mining, it could take years to complete. Plus, other cryptocurrencies also require mining to release the coins, so once Bitcoin is done, others may fill that void. Cryptocurrency mining could be a long-term issue for the environment, depending on regulation over the coming years and the countries where it takes place. However, a decrease in the near future is not likely, so the impact will probably keep growing for a while. Did you mine cryptocurrency? Were you aware of the environmental impact of mining cryptocurrency? Share your thoughts in the comments below. So You Want to Invest in Cryptocurrency: Read This First!